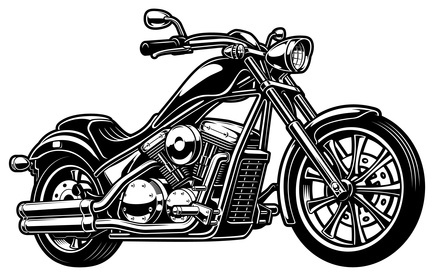 If you are looking to own a reliable cruiser motorcycle that not only looks great but also provides a great ride quality, you might be looking at shelling out a significant amount of money. That’s the reason a number of people are turning to used motorcycles, as it allows them to bring home their dream machine without having to break the bank. If you too are considering buying a used cruiser motorcycle, but are unsure of which model to go for, we give you a list of four options that deserve your consideration. As far as motorcycle shipping service is concerned, Easy Haul has got you covered. In the meanwhile, let’s look at the contenders. Harley Davidson Iron 883 is a badass beast with cast-aluminum nine-spoke wheels that reduce the overall weight of the motorcycle by 3.63 kg, compared to its predecessor. The seats are more comfortable than its older variants and offer a much smoother ride. If you are a Harley fan, this motorcycle makes an ideal entry-level option to become a part of the fraternity. The revival of Indian Motorcycle has radically transformed the two-wheeler industry, and the liquid-cooled 1000cc Scout Sixty is a testament of that. Though in the world of cruisers, Scout Sixty, with a 1000cc engine, is not among the most powerful out there; if you are looking for a practical and comfortable cruiser, the Scout Sixty will be a perfect option. Yamaha Bolt is a bobber-style motorcycle that boasts a high tank, short wheelbase and a solo seat. The Bolt is propelled by a 942cc, air-cooled, 60° V-twin engine sitting in a double-cradle frame that makes it one of the most lightweight motorcycles in its category. The Bolt is agile and easy to handle even for someone who is new to two wheelers. The Vulcan S is much more than your average cruiser. It is a fully customizable motorcycle that can cater to the specific needs of the rider and can be easily customized to suit their height. Separated from the clutter by an artistic teardrop-shaped fuel tank and an inverted triangular headlamp, Kawasaki Vulcan S packages everything you may ask for in a cruiser, and more. All motorcycles mentioned in the post make an ideal choice for cruising around the city as well as long rides. Although new variants of these motorcycles have heavy price tags, you can get one at an affordable price by going for a pre-owned model. Even if you find your choice in a different state or country, you can easily get it shipped with EasyHaul. We are an expert with years of experience in connecting people with trusted auto shipping companies. To get an instant shipping quote, click here. To learn more, call us at +1 (360) 597-9320.